I am fully aware of how this post may sound. Maybe a little "mature" for my age. Or old fashioned. Or just grandma like. But you imagine being a bird in the winter and then make fun of me! 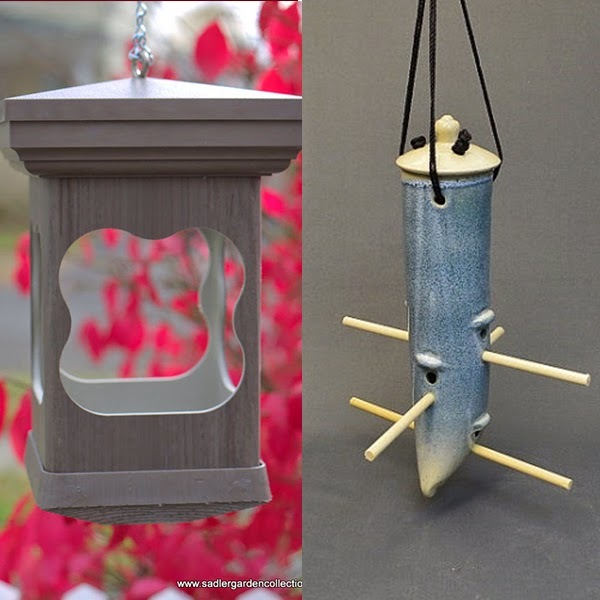 So, now that the air is clear, I have found some really cool bird feeders on Etsy. I think you should take a look and think about feeding some cold, hungry birds at your house. You might even find that those colorful friends brighten your day in this cold, gray January. My mother-in-law has a bird feeder at her house that attracts the most beautiful yellow finches and every time I visit I stand at her kitchen window and watch those little guys. I had a bird feeder once. It fell from the tree and had to be retired. 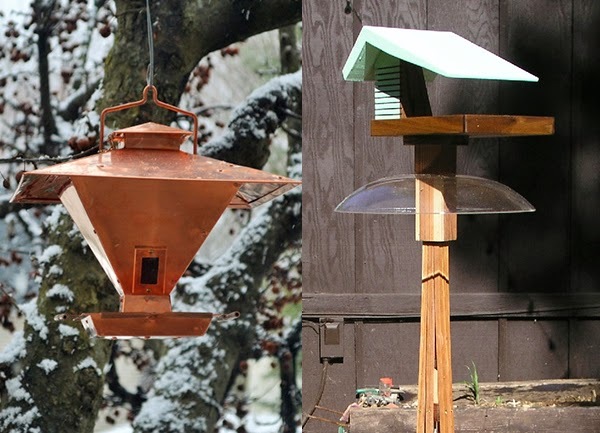 I am thinking one of these might serve me and my birds, well, the birds at my house quite well.